Plitvice Lakes National Park is the oldest Croatian national park. 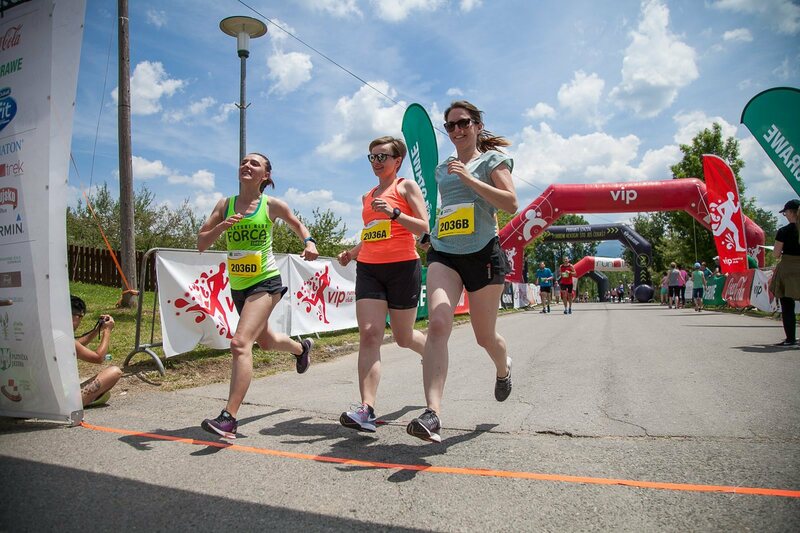 Plitvice Lakes Marathon is the oldest Croatian Marathon – nice coincidence, isn’t it? And believe me, beautiful coincidence as well! Running among sixteen lakes cascading one into another is an extraordinary feeling. The lakes end in the impressive waterfalls Sastavci, with the ►Korana River springing under the base of the falls. 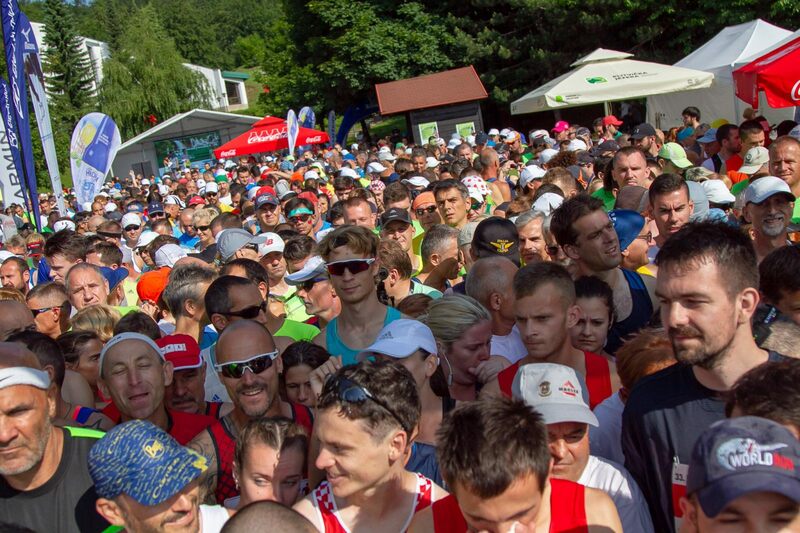 Due to its top-class race standards, ►Plitvice Lakes Marathon received 5-Star Quality Road Race Certificate from European Athletics. 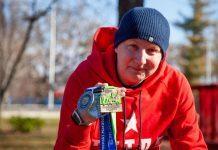 Runners from all over the world recognized a great organization, comprehensive levels of safety and security as well as a unique race route. 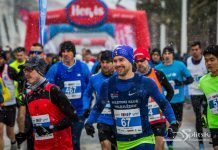 The number of foreign runners is continuously growing – soon there will be more foreigners than domestic runners: in 2018 there were 1000 foreigners on 2100 total runners. 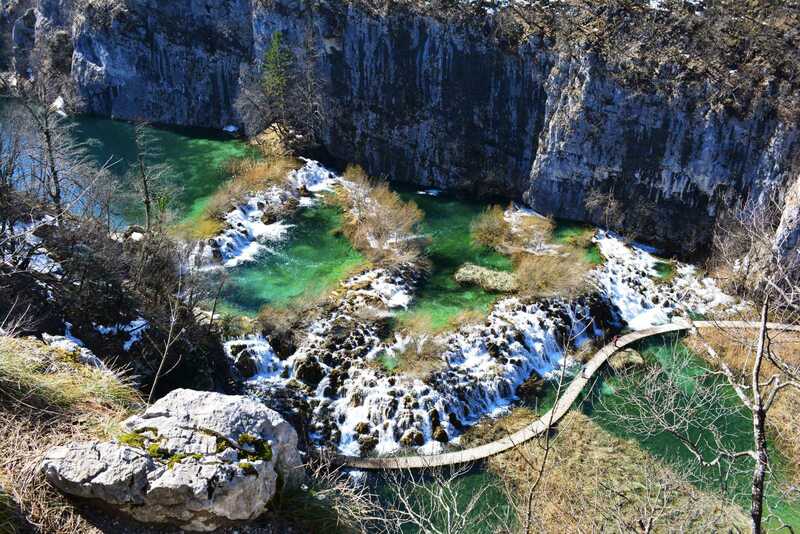 Local name of the National park is ►Plitvička jezera. 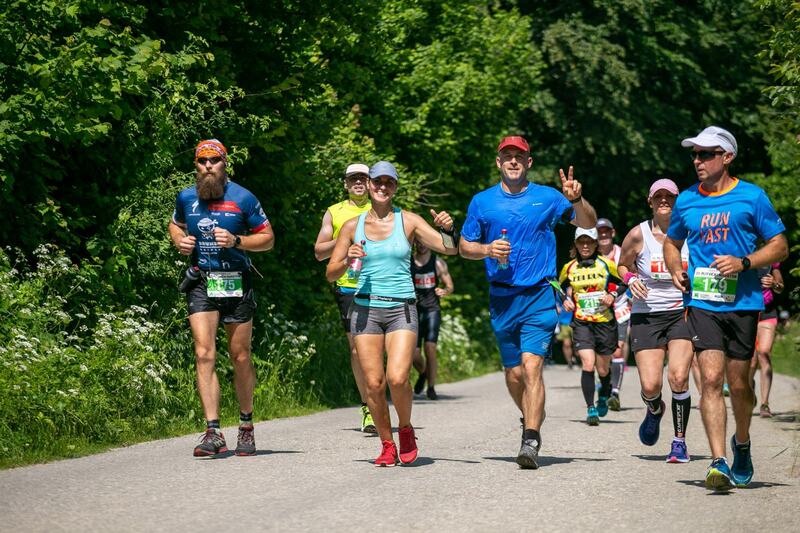 Marathon on june 2nd 2019! 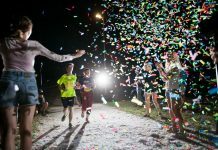 It is clear that every runner wants to experience something that special. A combination of beautiful deep-green woods, breathtaking crystal-clear lakes and waterfalls and, of course, running, cannot leave anyone indifferent. You can choose between a full marathon, a half marathon and a 5 K race. All races are road races, but with a decent dose of ascent. In order to complete the course, runners have to run smart and save their energy for the last hills. Marathon route goes from the sports hal ►Mukinje towards Bridge over the Korana river and then turns left, follows Korana River through some villages, to the 26th kilometer from where it goes by the lakes all the way to the finish line. If you’re coming with some friends, you can run the marathon as a relay team of four. 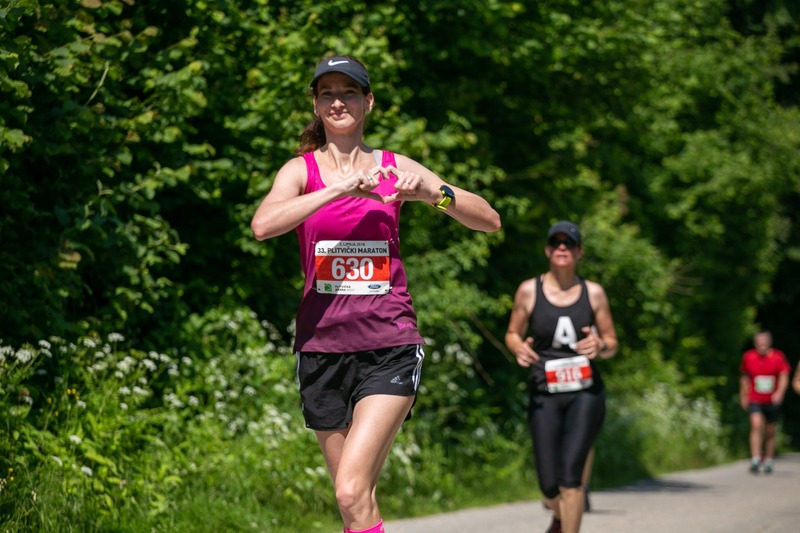 Fewer kilometers – fewer lakes, but the half marathon route is beautiful as well. 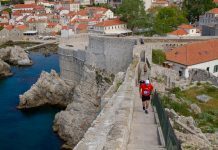 It starts same as full marathon route and divides after the 15th kilometer. Then it goes by lakes to the finish. This is a perfect race for those who want to experience Plitvice Lakes, but aren’t ready for the hilly delicacy of the full Plitvice marathon. 5 K race is a short and sweet shakeout race on the day before the marathon and half marathon. Many locals run that race, and their kids run Junior Races. How beautiful it is to make the first runners’ steps at such a location! 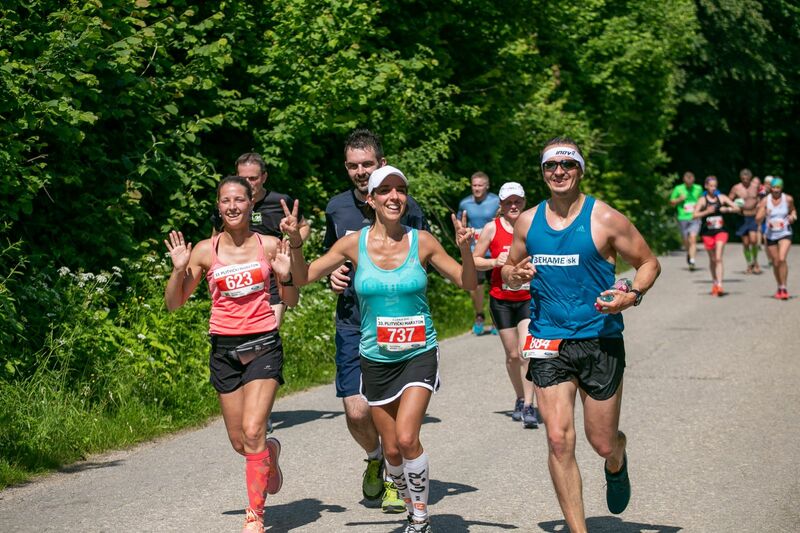 The first weekend in June is reserved for Plitvice Lakes Marathon. Registrations usually open six months before the start – and once they are opened, you can sign up here. 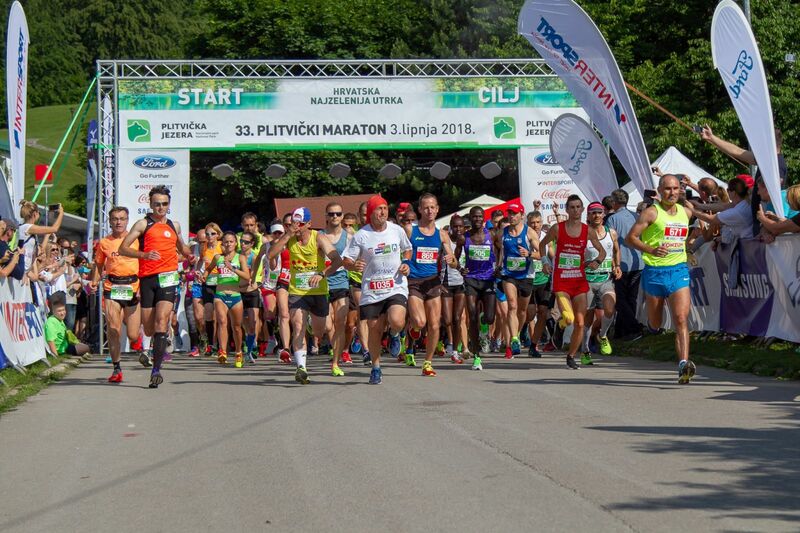 Start packages consist of race bib, sports shirt and shoe bag with race logo, meal, finishers medal and the ticket for the Plitvice Lakes National Park tour. Pick up, and Marathon EXPO are usually held at the sports hall Mukinje. Besides sports equipment at the EXPO, you can also find and try some local agricultural products there. If you’re running a relay race, there is an organized bus for taking team members to their relay exchange locations. All the other races start and finish by the sports hall Mukinje. Coming to Plitvice Lakes is not complicated. You can fly to ►Zagreb or ►Rijeka airport and then take a two-hour car drive to Plitvice. Or take a bus – departures from Zagreb or Rijeka to Plitvice are frequent on a daily basis. Accommodation offer is vast – you can book your stay at hotels, apartments, campsites, bungalows or private houses. 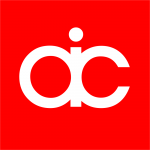 Organizers are fluent in English, open and friendly and you can contact them here if you have any questions or requests. Plitvice Lakes is the oldest and the largest national park in the Republic of Croatia. The park is situated in the mountainous region of Croatia, and the lakes – the most attractive part of the park – cover just under 1% of the total park area. With its exceptional natural beauty, this area has always attracted nature lovers, and in 1949 it was proclaimed Croatia’s first national park. The process of tufa formation, which results in the creation of the lakes, is the outstanding universal value for which the Plitvice Lakes was internationally recognized as the UNESCO World Heritage in 1979. Beside sixteen beautiful lakes and waterfalls, this national park is also home to more than 2000 flora and fauna species, of which are some endangered. That’s why it’s necessary to enjoy your visit responsibly. Judging by the impressions – there is a serious risk to stop and stare during the race, isn’t it? However, this is a unique race worth trying – come and see! 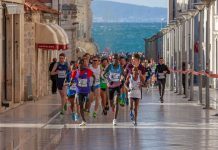 Previous articlePoreč in Istria is your 5150® Triathlon destination for 2019!